On behalf all of us on Living Water, we will like to give our heartfelt thanks to, the Family Herman, Keith, and Pat, the Family Bamber, Julia, to each of the Stubbings bros; Si, Andy, and Dave. Viv, Simon and all of the True Vine Church who was such a blessing to us. The Island maritime community Bob Holt, Ed Saunders, Sam & Emily plus the staff of Wooden & Steel Ship repair and You all have been such a help to this mission. Every single one of you has touched our hearts, so thank you! So much has happened since the last newsletter. To start off, the mates went with Lasam (crew member) and Anna Bamber to Newport on Halloween to pray for people. A lot happened that night from testimonies and healing to people trying to chase us out of Newport. There has also been lots of healing and miracles on Living Water from fires being stopped to people being healed from ME. We have moved Living Water to Shepard’s marina in West Cowes. Where we start the first leg of the journey to Falmouth. 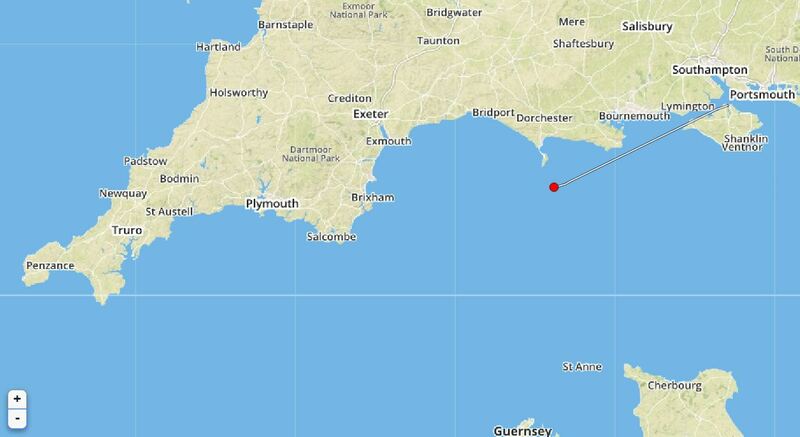 The sail to Falmouth will be around 24 hours. We are so happy that we are finally leaving. The crew has provisioned us for the long journey ahead. Lastly, the crew stood in front of True Vine Church and spoke about the mission and a little bit of there testimony. We would love it if you guy clicks the donate button as there is always work to be done on Living Water. Feel to track us from the website through www.livingwatermission.org/tracking . If you have any problems feel free to leave me a comment. If you guys want more information on anything please feel free to leave your email in the comment section. Ones again thank you for all the thoughts and prayers. God Bless you all. 2 Comments to "The journey begins…"
For some reason I have been missing out on news? The track took ages to load and then I can see the position is jumping about quite a few miles in Brest! Some spelling needs attention in posts. Hi, Chris we are having problems with our iridium go and our tracking. We are working on it. And the same with spelling! Working on that every day:).